First stop WINDMILLS. 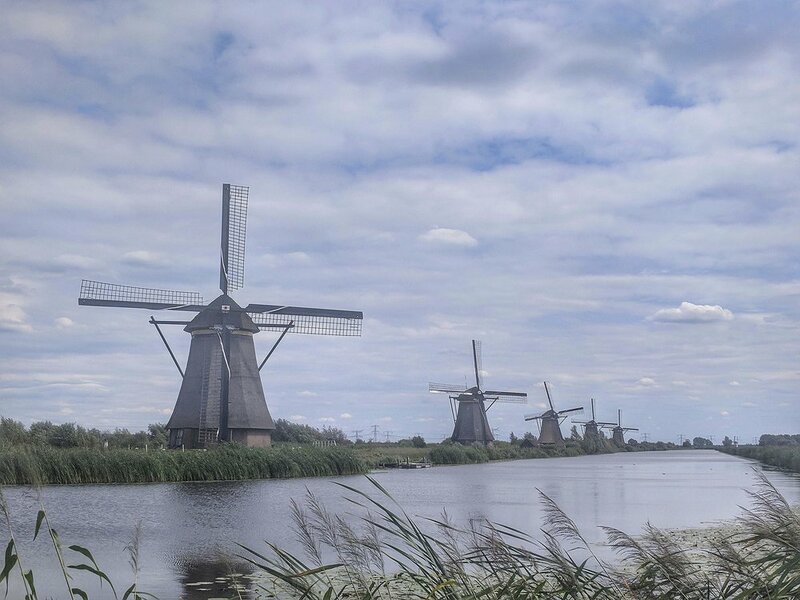 There are 19 beautiful 18th century windmills lining the waterways at Kinderdijk. They are a UNESCO World Heritage Site and they truly are magnificent to behold. We cycled from our camping spot in the nearby town of Alblasserdam. The tourist hoards took a little navigating, but as with most of these places if you venture a little further - the crowds thin out. We decided to stay another day in Alblasserdam, firstly because it was a lovely little town with some lovely cafes and restaurants and also we could take the fast waterbus from there to Rotterdam. The bus drops you right in the center of the city at the Erasmus Bridge. It’s an interesting and vibrant city that was pretty much destroyed during World War II, so a lot of the architecture is very modern. 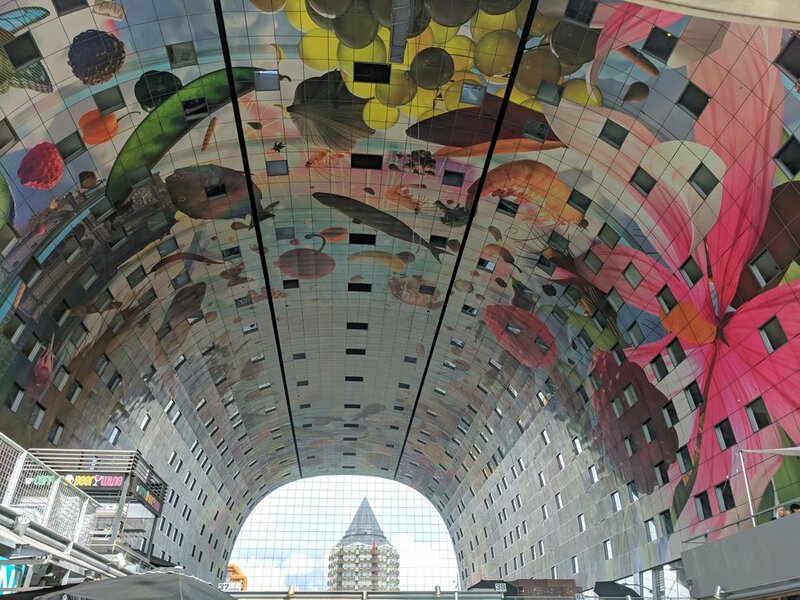 One of the city’s newest and most impressive additions in the colorful Markthal; a truly magnificent temple to food and architecture. After windmills, next stop CHEESE. Not far from Kinderdijk is the charming city of Gouda. Of course famous for its namesake cheese, but also a lovely historic town with canals, and charming buildings. We took a day to wander the city by foot and by bike and enjoyed the lovely summer atmosphere. We parked in a motorhome friendly parking lot in town, and it was packed, especially on Wednesday night as everyone rolled in for the Cheese Market, held in the main square every Thursday morning. 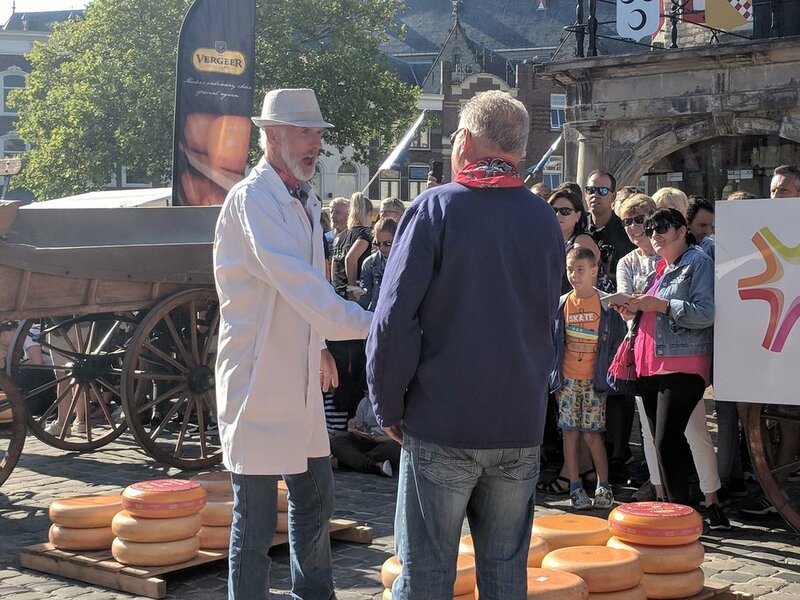 We joined all the other tourists to enjoy the reenactment of cheese merchants and their buyers haggling over cheese, then stacking up the hefty cheeses on horse-drawn carts before heading to the weigh station to see how much they had committed too. It’s all lovely tourist-fare. As well sampling the cheeses we totally sent the calorie-meter wild by having some freshly cooked poffertjes - delicious mini-pancakes covered in sugar, butter and Nutella. After our fill of cheese and other scrumptious treats we headed to Amsterdam. Now both of us have been to the city several times for work, and once for a mini-break over 20 years ago. Wow… the city has changed. Similar to how we felt when we went to Lisbon last year - the city is over-run with tourists and by that I mean you can’t get away from them. We stayed over the other side of the river at Amsterdam City Camp in the trendy NDSM Wharf warehouse district; over there is still full of tourists. We walked for hours all over the city to visit the so-called authentic neighborhoods; yep still completely catering to foreign tourists. 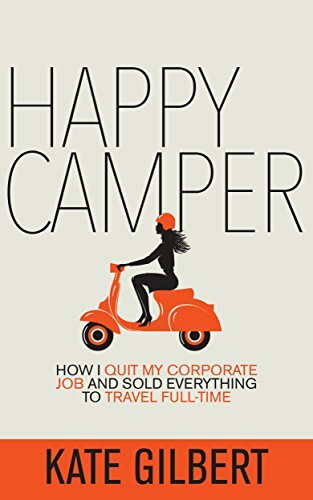 Now as I explained in our Lisbon post, I don’t mind crowded cities, in fact I actually really like the hustle and bustle. But the tourist blight that I think has taken over many great cities is a homogenization of the experience when all you see is oriented around the tourist. Everything is in English, high prices for meh food and tacky souvenir shops. 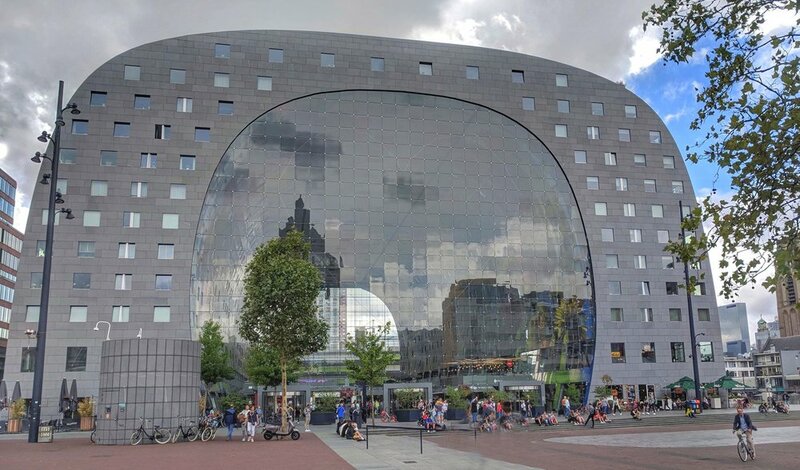 Amsterdam has the added pleasure of inexperienced cyclists renting bikes running into you at every turn plus numerous bachelor and bachelorette parties sampling the more salubrious aspects of the Amsterdam tourist scene. Oh and, of course, it all smells of weed. We recognize that we are tourists too but that doesn't mean we are asking to be "catered to" in this way. I remembered my last visit to the city fondly but I guess a lot has changed since then and this time I was glad to leave it behind. I don’t mean to be a grouch, we did enjoy some of our time in Amsterdam, the weather was fabulous and we sat out and enjoyed some drinks on the lovely waterside bar at Pllek near our campground. We are loving being in the Netherlands, but I think we’ll probably leave it another 20 years before we come back to Amsterdam.